Our passion is to work with companies and their leaders to grow their human capital. We help companies implement solid HR processes such as performance management, competency models, assessment centers, people development, 360 degree feedback, assessing and optimizing sales force. E-360 feedback is a powerful tool, which helps you understand how others perceiveyour leadership effectiveness as compared to how you perceive it. Through valuable feedback from your managers, peers, direct reports and customers, you can identify and validate your strengths and areas for further development. The e-360 feedback is administered through online surveys. The survey gathers information and comments about the leadership competencies of the feedback receiver. 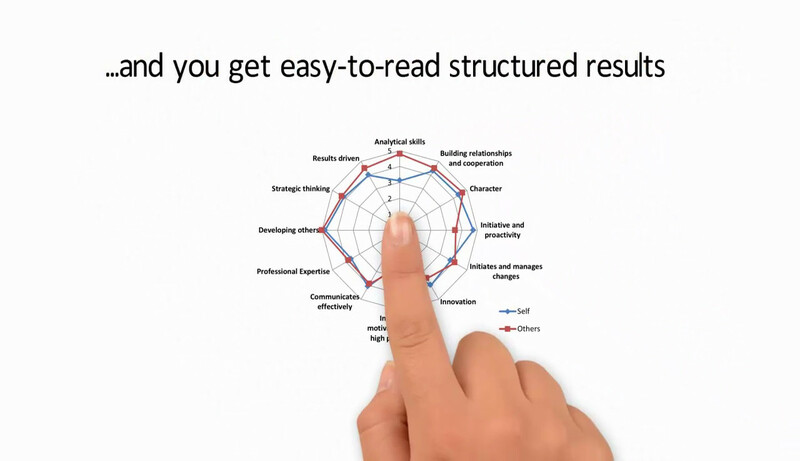 This information is then processed in the feedback report that uses various visual graphs where you can clearly see your leadership competencies as seen by others and as seen by you. These powerful insights will target and accelerate your development efforts. We work with a variety of facilitation tools such as Visioning Sessions, Strategy Maps, Leadership Competency Maps and In-Pulse Team Feedback. We structure and facilitate meetings and workshops to accelerate and encourage collaboration to drive results. We have facilitated a number of senior management workshops on strategy definition, aligning people around the strategy, creating ownership of the strategy or mapping responsibilities and activities in strategy execution. We are neutral in discussions on strategy issues. We encourage providing and requesting effective feedback. We uncover and manage resistance. Every day, learn2grow facilitators work with our clients to build a high performance company culture. We believe in building a results-driven company culture through engaging people in the vision and the direction, building leadership at all levels in the company, challenging through feedback and increasing accountability for results at all levels. We have experts on Performance Management and the many approaches companies can choose in building high performance. Some of our experts teach Performance Management at universities. We have a deep knowledge of the performance management processes used by international corporations, from setting ambitious goals to delivering on them and evaluating them on various scales including the evaluation through the use of forced distribution in rating the performance of individuals. There are no easy answers to performance management and the key is choosing the approach that fits the vision and strategy. Our facilitators know benefits and controversies of the various approaches and can help senior managers engage in the principles chosen by the company.We help our clients to build a work environment focused both on measurable results and on building the competencies for higher performance in the future. Fill out the form and you will receive a download link to your e-mail address.